At The Episcopal School of Dallas, we maximize classroom space, both indoors and out, allowing our students to learn through experience and exploration. 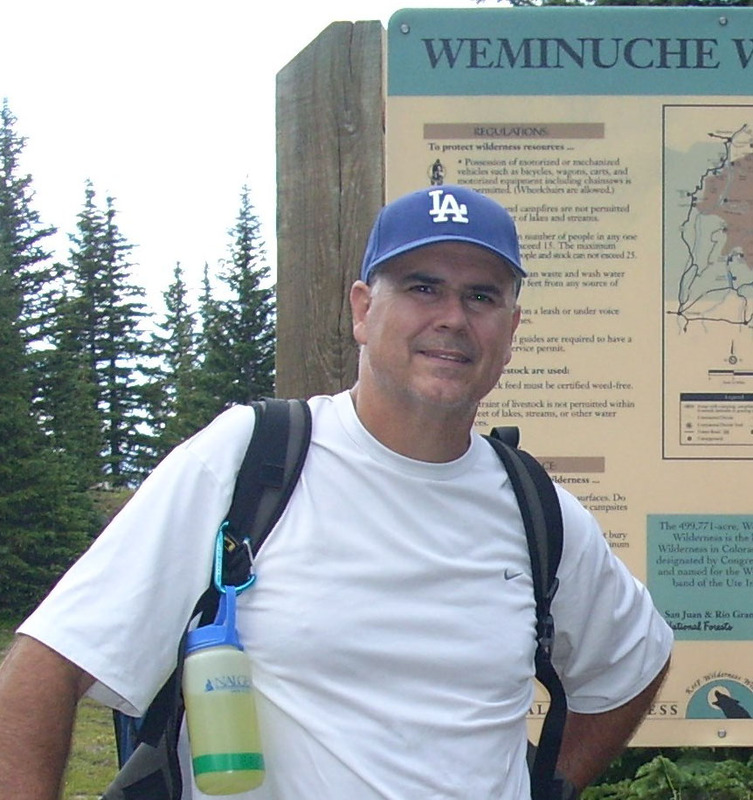 ESD has developed a large portion of Wolf Run Ranch as an outdoor education center thanks to the generosity and guidance of the late Pete Gifford of Dallas. Located just outside of Anna, Texas, Wolf Run provides a 300-acre environment for experiences of community. Nature trails, a lake, a low ropes course, two bunk houses, a lodge, an outdoor chapel, and a working ranch create unique opportunities for learning and self-growth for students grades one through twelve. 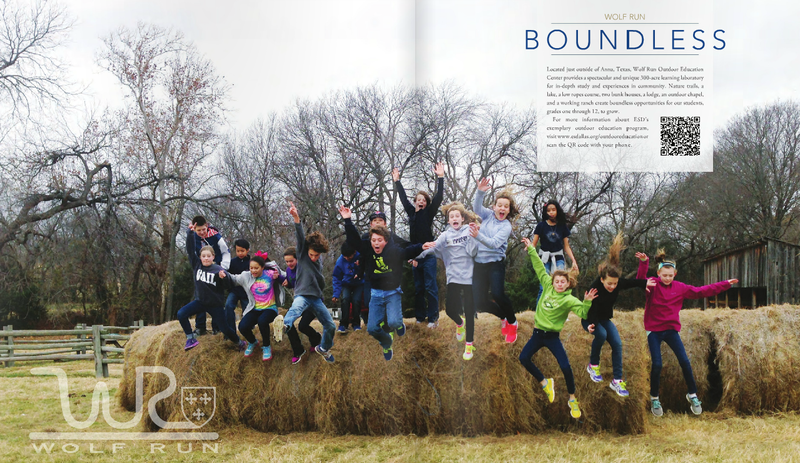 Wolf Run is the embodiment of one of our Founding Tenets: Community. The basic goals of all the trips are for students to learn about themselves, others, and the world around them, as well as to work together, to care for each other. The outdoor education department teaches students to use the world as their classroom in subjects including history, science, and literature. 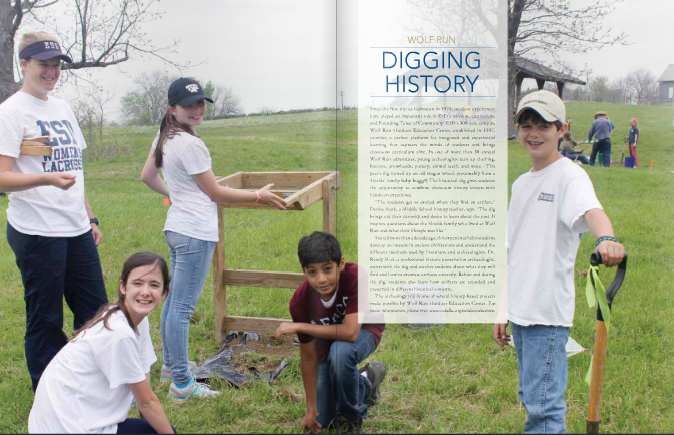 Archeological digs, class-building activities, overnight retreats, journaling, and biological and ecological testing are only a few of the engaging activities that provide students with opportunities for self-expression and discovery. The school is in the process of expanding academic projects and hiking trails into new areas of the ranch that ESD owns, but has not previously used. Wolf Run Ranch and Outdoor Education Center has been made possible by a generous gift from the Gifford Family. Per Mr. Gifford's wishes, the school has agreed to preserve Wolf Run Ranch "in perpetuity" as an outdoor education center.